The Claddagh Shop - thecladdaghs Jimdo-Page! We are happy to announce that our shop is now open. 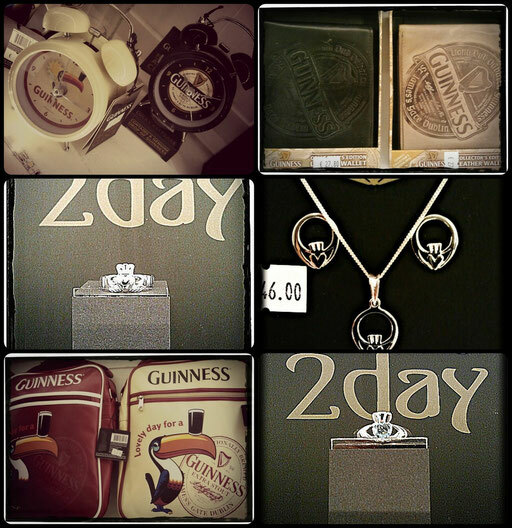 You can purchase items from our selection of Guinness and other Ireland related products between five and nine o'clock in The Claddagh. The products range from T-Shirts, hats and bags to alarm clocks, fridge magnets, thermo mugs and a lot more. We also have Guinness and Claddagh christmas decoration in stock for an extra special christmas tree! Of course we also sell the famous Claddagh rings now - the perfect present for someone special to you! Come in and check out our products!